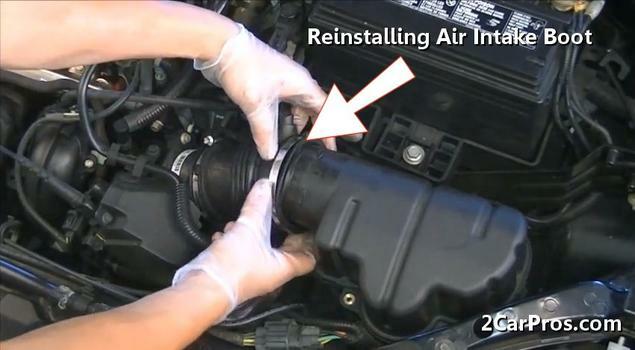 Need to change you car engine air intake boot or air intake tube? We are a team of ASE certified mechanics that have created this guide to help you save money when doing the job yourself or at least see what you are paying for when having the job done. Let's jump right in. 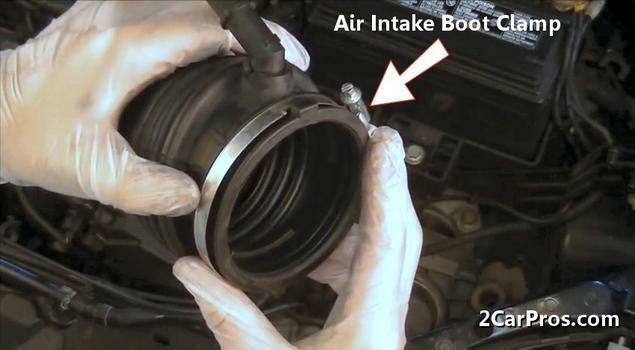 The air intake tube and boot is used to connect the air filter housing and mass air flow sensor to the throttle actuator or body. 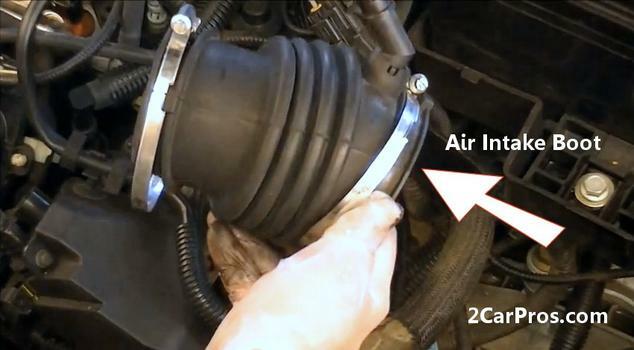 This rubber like part is attached using simple hose clamps. 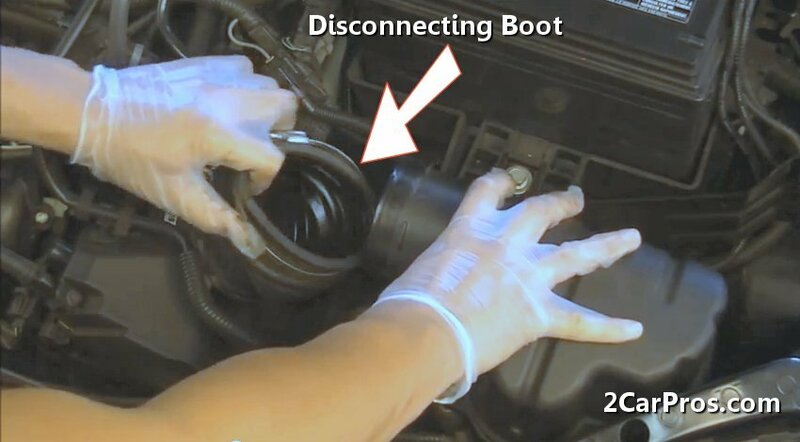 Replacing the boot takes about 15 minutes using everyday tools. If you don't have the replacement parts or tools to do the repair job we will show you how to get the best parts and deals at the end of this guide. 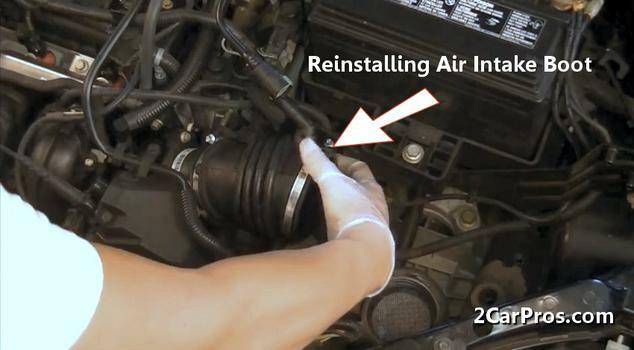 You shouldn't need to raise the car in the air so this job is pretty easy and can be done by most people. Raise the hood and allow the engine to cool before beginning. Begin with the car on level ground, engine off, in park with the parking brake set. 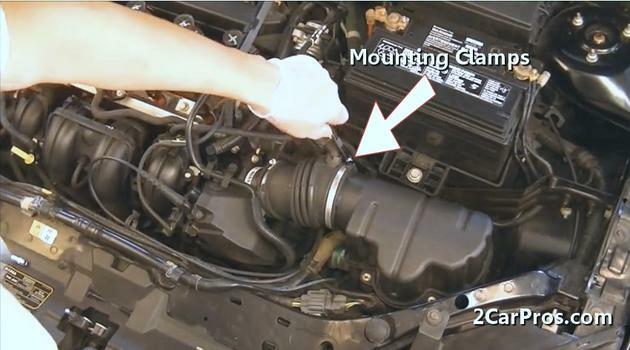 Using a screwdriver or a small socket and ratchet loosen the clamps that secure the boot or tube to the air cleaner housing and the throttle body by turning the clamp screws counterclockwise. 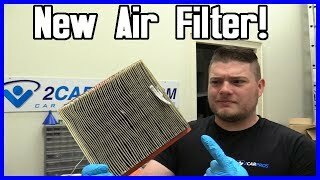 There maybe an mass air flow sensor involved depending on the design of the engine. Engine breather tubes maybe connected to the boot/tube which is used to ventilate the engine crankcase gases into the intake system to be re-consumed by the engine combustion process. These tubes are held in place by a plastic clip. Use a small screwdriver or pick to lift upward the fastener which will enable you to remove this connection. Sometimes the boot can be stuck on the intake tube or air cleaner housing due to heat from the engine and pressure of the clamp. Use a screwdriver or pick to help break the seal and while use a twisting motion help loosen the seal to remove one end of the boot. Once the mounting clamps and breather hoses are removed and loosened completely remove the boot or tube. Inspect the area between the ribs by flexing it and looking for signs of rips or tears. If these imperfection are found replacement is required. Keep track of all clamps, nuts and bolts in a container so they don't get misplaced. Match the new boot to the old unit, they should match up identically. Reinstall mounting clamps onto the new boot or tube. Take note of the clamps orientation which will make installation much easier. While holding the new boot firmly with one hand and making sure the clamps do not fall off reinstall the new air intake boot onto the throttle actuator first. Be sure not to get any dirt into the area during the installation process. Finish by installing air intake tube by fitting the boot end on the tube onto the air filter housing or mass air flow sensor while tightening the clamps snugly, do not over tighten. Some tubes will have an orientation tab which must be fitted into its proper slot. 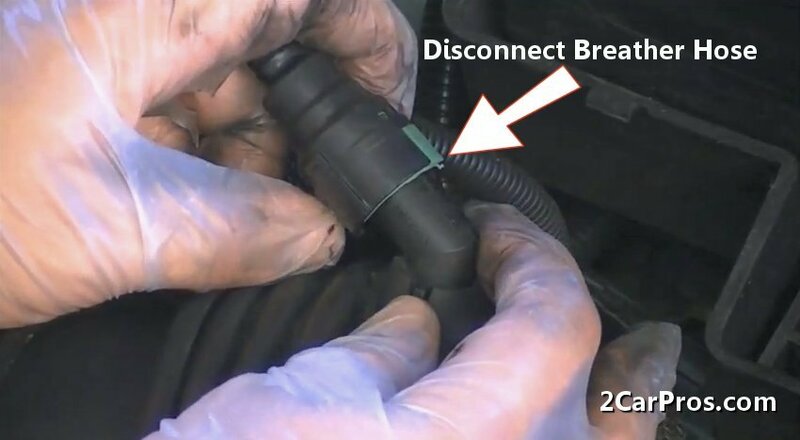 Start the engine and listen for any vacuum leaks or hissing sounds which would be an indication of the boot lip being folded under either on the throttle actuator or the air filter housing. 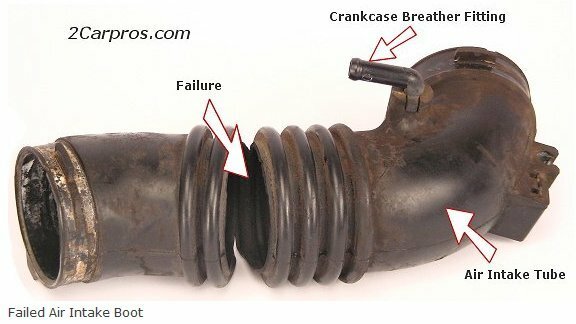 This is what a failed intake tube looks like. Please continue by watching both videos below to get an idea on what you are in for when doing these kinds of repairs. Thank you for reading through the guide please watch the videos below before you begin the repair. If you have any question please visit our forum where hundreds of air intake tube questions have been answered by our experts. My engine is stalling at idle how do I fix it?